Angelic Visions for Intuitive Life Support! As a long time 5 star psychic medium on Keen, I can give you the answers you seek to romance and guide you in your relationships. I have always been a sensitive, but a near death experience in December of 1997 thinned the veil between this world and the higher realms. After that event I am able to read people, situations, the future and being on the other side. I have a bachelors degree from Eastern Oregon University with a focus on history and sociology. I am a Reiki-Master, and a hypnotherapist. I am a psychic medium, I channel through a guide and use tools (tarot and runes) for timing and some direct questions. I operate from the premise that we are all recovering and progressing to our highest good. I am direct at times, so please take that in consideration when speaking to me. My specialties are being empathically able to read the people and situations around you, clairvoyance, clairaudiance, and clairsentience. The information I receive allows you to make your own decisions with the most information available. If you call less than 5 minutes, I will speak clearly and quickly but detail requires time. I believe in our Higher power and the guides that want the best for us, and always call us to a higher action. You are loved beyond your ability to feel it. Tap into the power of your own angels and guides to change your life. In working with spirit, I help you direct your own life, and create peace and abundance. What spirit wants to convey is what will come through. this is a spiritual reading, my only desire is to help you improve your own life. My guide can help you with questions to love, and help you improve your relationships. Please be open to all, and know you have the ability to change your own destiny with a 5 degree shift in attitude. The God in me connects to the God in you! 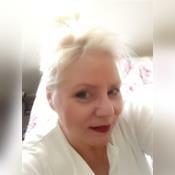 I have 15 years experience reading the tarot, I have been psychic all of my life and have extensive experience working with others to improve their lives. I encourage independence and learning to connect with your own guides, but when you need answers I can help. That being said, I do need more than one minute to be able to read for you. The feedback process is not accurate and I will be able to understand your needs if I am given at least 5-10 minutes. I look forward to working with you. Here is some feedback from Whyamidoingthis: 5/30/2016 Whyamidoingthis 5 stars Trish is amazing. I don't know what else to say other than I am so thankful that fate brought us together so she could communicate with so easily with my guides. There were so many synqronicities between the information she gave me and the logical path that my life will take. Very accurate. Very easy to talk to. There were a couple of times where the hairs stood up on my arms and I felt a surge of electricity go through my body. The things she said just resonated in the very core of my being. Call her!!!!!!! More feedback from: 5/28/2016 ndivas 5 stars what an amazing call. there were even comments made that Trish didn't realize were jaw dropping. pic one book, get cards, the coaching..basically answering questions I had that I hadn't even remembered to bring up. SO much info given to me, Trish is truly gifted. It's crazy but not crazy at all. Finally more feedback from: 5/25/2016 Member82537662 5 stars Wowww Thank you! My first time reading with Angelic Visions. Generous insight with a great connection, no time wasted, accurate feedback. Looking forward to next call. Very grateful. Blessings to you. I am leaving my rate low through out the next few months. The reason for this this is I need at least 5-10 minutes to connect properly for a psychic reading. So please allow for it. I would love to read for you. Angelic Visions has been a user of Keen since 2001. Getting Love & Relationships advice from Angelic Visions through www.keen.com is safe, secure and confidential.